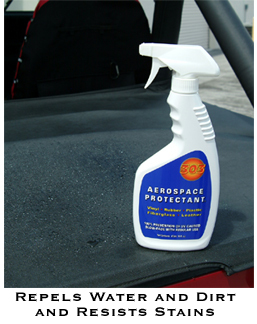 Home > Shop By Brand > 303 Products > 303 Aerospace Protectant > 303 Aerospace Protectant 32 oz. 303 Aerospace Protectant Wipes303 Aerospace Protectant 10 oz.303 Aerospace Protectant 16 oz.303 Aerospace Protectant 128 oz. This product does a great job. Easy to use. Don't be without it. Love this product have used it in many of its different applications. This was my first time using 303 Protectant. I purchased based on all of the independent YouTube videos on detailing. Product works great and does not leave a glossy shine to the areas treated. This is an excellent product. I use this on by leather seats,dash and my tires. This is the best protectant money can buy.. hands down.. Take a good look at what it does for your use on a car or household use. ProsEase of use, protection beyond any other product.. For use on plastic and rubber surfaces.. You can not replace plastic or tires for the cost of this .